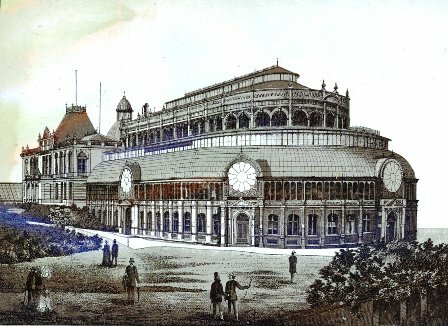 Yesterday, and on Monday and Saturday, rejoicings were held at Blackpool to celebrate the progress and completion of important works which wave been undertaken for the purpose of rendering this already attractive seaside resort still more appreciable to the thousands of people who annually visit it, not only from all parts of Lancashire, but from the country generally In the course of a few years Blackpool has made rapid strides, and she may not inaptly be termed the Queen of Lancashire watering places. The resident's of the town, fully alive to the importance of making the place as tempting as possible, and equal if not superior to other favourite resorts on the coast, have exhibited a public spirit in providing new attractions which is quite creditable to them; and although their zeal may not altogether lack selfish motives, it deserves, and undoubtedly will secure, encouragement in a still larger number of visitors in search of health and of pleasure spending their summer holidays at Blackpool. Since the promenade was opened, about ten years ago, the town has enjoyed a gradually increasing prosperity, which has stimulated the inhabitants to great efforts to still further add to their success; and last year a charter of incorporation was obtained, and Blackpool now possesses municipal government. To celebrate this, and also in order that the new works which are being carried out may be made known, the present demonstrations have been held. The principal of the new works is an extension of the north pier, which has been carried out at a cost of something like £26,000. The pavilion is a type of Indian architecture, the design having been taken mainly from a Hindoo temple at Bindrabund. Internally it consists of central hall and corridors or aisles, and with its gorgeous decorations, conceived after the Eagan style; it forms a very elegant concert-room. M. De Jong's excellent band has been engaged for the season by the directors of the pier, and will give concerts in the pavilion and in the open air on the pier-head at certain periods. On the south wing of the pier-head, opposite the pavilion, two buildings of the same type have been set apart, one as a refreshment room and the other as a fancy bazaar; whilst between the two blocks, and forming the base of a hollow square which has been seated with benches, is a bend stand of unique design. A curious incident transpired while the extension of the pier was in progress. The overseers of the poor raised the assessment of the company, which had flood at £850, to upwards of £1900, and sent in a demand for rates on this basis. The company resisted on the ground that the pierhead being beyond low water line they were not liable to pay rates for the extension. The case was carried to the quarter sessions and from thence on a “case stated" to the High Court, which finally pronounced the company's petition to be incontestable, the pinhead being virtually “at sea." By an amicable arrangement between the parties, the company agreed that their assessment for such portion of the pier as is within the township should be raised to £1200, and the matter was so settled. A very important work, which, however, is a long way from completion, is the winter gardens—a scheme which will cost £100,000 ; and other works which are complete are the Lane-ends market, erected at a cost of between £60, 000 and £70,000, and the borough bazaar, which has cost £12,000. These works are wholly private undertakings, and of themselves are a striking illustration of the progress of Blackpool. The winter gardens occupy a site in Church-street, which was secured by the Winter Gardens Company for a sum of £27,000. The main feature of the scheme is an enormous building of glass and iron, which may be imperfectly described as a parallelogram, to one end of which is added a circular termination. The centre of the further portion of the building will form a spacious concert room of great height, to seat about 3000 persons. The central space nearer Church-street will be devoted to refreshment rooms and offices nearer still to Church-street, and still occupying the central space, will be a splendid fernery. The several departments are kept in the centre of the structure, end by this arrangement the architects have been able to gain a promenade 140 yards in length, and running round three sides of the building. 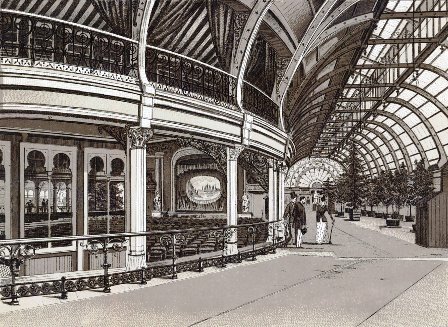 This promenade will be divided from the concert room by a glass partition, but it is intended that the partition shall be removable at will, so that when occasion requires the promenade will become part of the concert room, and sitting accommodation will thus be obtained for 7000 persons. On the west side of the building a sea view is obtained through Victoria-street, and here it is proposed to erect a very handsome stone entrance and a capacious vestibule, with a billiard room and a reading room above. The gardens proper, which will surround the banding on three sides, will not be very extensive, but great skill and much expense are being lavished upon their arrangement. A very considerable area on the east side of the building has been devoted to a skating rink, part of which is covered. The grounds surrounding the outdoor rink have been laid out with much art. The rink is completed, and it is hoped that the gardens, with the enormous erection which is rising in their centre, may be completed by next spring. The large dome with which it is intended to cap the entrance from Church-street will be very lofty, and will form a striking landmark for miles around. The fete, as we have already said, commenced on Saturday, when the principal attractions were special entertainments and displays of fireworks at the Raikes Hall Gardens; promenade concerts by the band of the 94th regiment at the Winter Gardens; and at night a grotesque torchlight procession in the principal streets and on the promenade. On Monday the festivities were renewed, when concerts were given by the band of her Majesty's 1st Life Guards, and also by the band of M. de Jong. There was likewise a display of fireworks at dusk. Yesterday, one of the principal attractions was a procession of the mayor and corporation and gentry of the district, yeoman of the Fylde, volunteers, lifeboat and crew, and the friendly societies and trades with handicraft representations. The procession was a great length, end included several bands of music, and the streets through which it passed were crowded with people. During the holding of the fete the town has been gaily decorated with flags and banners, triumphal arches were erected, there were illuminations at night, and thousands of visitors flocked thither to witness and to take part in the rejoicings. 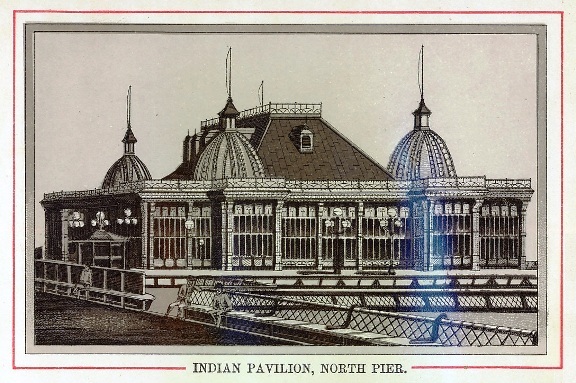 At three o'clock yesterday afternoon a banquet was given in the Indian Pavilion on the north pier. The Mayor of Blackpool (Mr. W- H Cocker) occupied the chair, and there was a numerous attendance amongst those who had accepted invitations and were present being the Mayors of Salford, Burnley, Oldham, Warrington, Bury, St. Helene, Preston, Clitheroe, Southport, and Leeds. The town clerks of Salford, St. Helens, Baton Southport, Congleton, Warrington, and Blackpool, were also present. The banquet was provided by Mr. John Rostron, Southport. After the loyal toasts, Mr Alderman McNaughtan proposed “The Army and Navy and Auxiliary Forces." Captain Hardman responded on behalf of the volunteers. The toast of “The Bishop and Clergy of the Diocese and Ministers of all Denominations " was proposed by Mr. Councillor H. Hall, and responded to by the Rev. R. Moore; and that of " The Visitors and Mayors," proposed by the Chairman, was responded to by the Mayor of heeds. The other toasts were '` The Fete Committee," proposed by Mr. J. B. Hallmark, and responded to by Mr. Handley; “The County Magistrates" proposed by the Mayor of Preston and responded to by Mr. R.Birley ; and "The Mayor and Corporation of Blackpool,' proposed by Mr. J. May, and replied to by the Mayor of Blackpool. In the evening there was a dress ball at the drill hall, and the torchlight procession which caused so much amusement on Saturday night, was repeated.